Do I Have To Keep My Dog On Leash? The legal answer: probably, and you had best check state and local laws very carefully. The realistic answer: even if you can let your dog off leash, ask yourself very candidly whether you should. Some states have statewide leash laws, and some allow localities to pass their own form of leash laws. 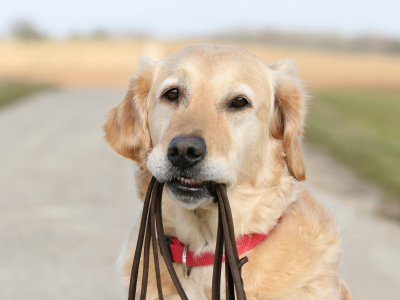 For a great overview of leash laws across the country, take a look at Michigan State University’s Overview of State Dog Leash Laws on its College of Law Historical and Legal Animal Center site. Here in Virginia, there is no statewide leash law or prohibition of dogs running at large. But Virginia Code Section 3.2-6503 requires all owners to provide their companion animals with adequate space. For a tethered dog, the definition of “adequate space” found in Section 3.2-6500 requires the tether to be at least three times the length of the animal, measured from the tip of the dog’s nose to the base of its tail, unless the dog is being walked on leash or is attached to a lead line. Virginia Code Section 3.2-6538 allows localities to prohibit dogs from running at large, and Section 3.2-6539 allows localities to pass leash laws. Localities typically prohibit dogs from running at large. Local leash laws vary greatly – so much so that this will be the topic of another blog post. For now, one good example of how a Virginia locality has chosen to handle leash laws is found in Alexandria. Alexandria’s City Code Section 5-7-32 prohibits dogs running at large. Section 5-7-33 prohibits dog owners from allowing their dogs to run at large, and allows the City Manager to charge the owner fees to cover the cost of capturing a dog at large. Section 5-7-33.1 clarifies that dogs are not to run at large even in public parks, unless the park is designated as an off-leash dog exercise area. To learn more about Alexandria’s dog parks and the applicable rules and regulations, take a look at this Dog Owner’s Guide to Enjoying the Parks of Alexandria. Be warned — not all “off-leash” dog parks are fully enclosed. Section 5-7-35 requires dogs to be under “physical restraint” when off of the owner’s property. “Physical restraint” requires “a leash, lead or other means of physical restraint which leash, lead or other means of physical restraint is not harmful or injurious to the dog and which is held by a responsible person capable of physically restraining the dog.” [Check out this post if you are curious about whether an electronic collar qualifies as “physical restraint.”] The only exceptions to this physical restraint requirement are on private property with the permission of the property owner, or in a designated dog exercise area. In 2010, Alexandria expanded on its leash laws by passing an anti-tethering ordinance. That ordinance prohibits a dog from being tethered for longer than three hours a day, or longer than a twelve hours a day if on an acceptable running cable line or trolley system. Even if you could let your dog run off leash, you should realistically ask yourself whether you should. Leash laws exist for very good reasons, not the least of which is safety – yours, your dog’s and others’. 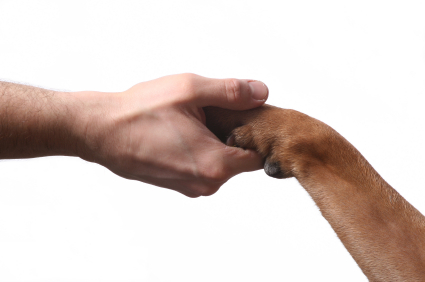 Even if your dog is friendly, your dog may come across a fearful, reactive or aggressive dog. It is unfair to put the owner and the dog in such a position. Telling the owner not to worry because your dog is friendly won’t change anything. If your dog gets into a confrontation and the other dog initiates aggressive behavior, if your dog bites the other dog or an intervening person, you will be the one facing dangerous dog proceedings. It takes only a second for something tragic to happen. Consider this dog, who was off leash and shot by law enforcement when he approached an officer and his K-9 dog. While the officer may have been able to take steps short of shooting the dog in this case, it would have never happened had the owner kept his dog on leash. Categories: Animal Behaviorists and Trainers, Dog Walkers and Pet Sitters, Pet Owners, Pounds, Animal Control Officers and Law Enforcement | Tags: dangerous dogs, dog shootings, leash laws, legislation, owner responsibility, shock collars | Permalink. Deputies in Frederick County, Maryland went to the Jenkins residence to serve court papers on Sandra and Roger’s teenage son. The deputies knocked on the door, and Roger answered. Roger asked if he could have a moment to put the family dogs away before they came in. At that moment, the Jenkins’ Labrador retriever, Brandi, noticed the unfamiliar cars in the driveway and began to bark. In response, one of the deputies shot Brandi in the chest and leg. Brandi collapsed, bleeding, in the snow. Fortunately, Brandi survived. But the Jenkins family says that Brandi is permanently disabled from the shooting. They have filed a law suit against the Frederick County Sheriff’s Office for reckless endangerment and infliction of emotional distress. The Sheriff’s Office has denied liability, claiming the shooting was justified. 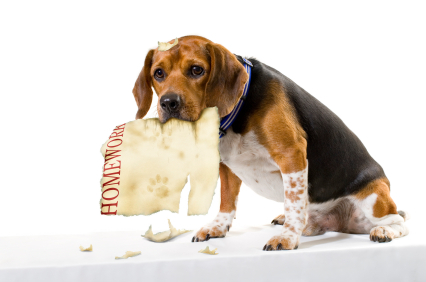 I am glad to see that animal law – and specifically companion animal law – is gaining acceptance. In fact, the Jenkins family’s tragedy spawned articles coast to coast – from the Baltimore Sun to the Los Angeles Times. But the downside is that the awareness stems in large part from law enforcement shootings of beloved family dogs. 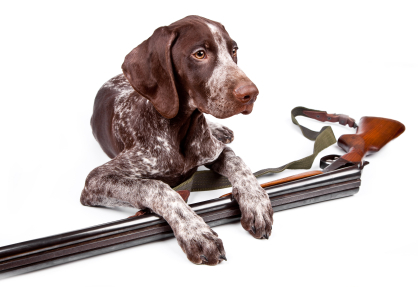 This is hardly a new phenomenon, unfortunately, and it’s something I have already blogged about in Dogs And Guns Don’t Mix. Hopefully, the positive side to all of this will be further development of the legal status of companion animals. Maryland may just be the state that will push these boundaries. Brandi’s case is not the only one pending in the Maryland courts right now. Another law suit is pending in Prince George’s County, Maryland. That case involves the shooting and killing of Berwyn Heights Mayor Cheye Calvo’s two Labrador retrievers after the officers suspected the mayor’s wife was involved in drug trafficking. And in a recent Maryland custody case, a Calvert County Circuit Court judge set up joint custody of the family dog, declining to treat the dog like mere property. You can read more on this in Pets, Property And Price, Part 1: Is Fido A Pampered Pooch Or Mere Personal Property? As the law currently stands in Virginia, a plaintiff like Jenkins or Calvo cannot recover damages for emotional distress if officers were negligent. But the Virginia Supreme Court has specifically left the door open for intentional torts – and perhaps gross and wanton recklessness. 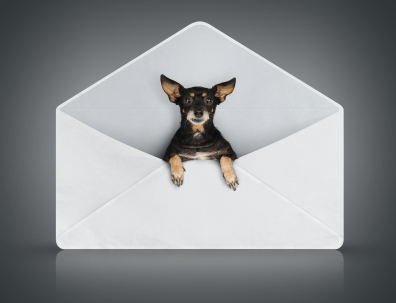 To read more about the status of Virginia law and damages, take a look at Pets, Personal Property And Price, Part 3: What Damages Can Fido Sue For? If you would like to track the Jenkins and Calvo case, you can do so at the Maryland Judiciary Case Search site. Categories: Animal Hospitals and Veterinarians, Media, Pet Owners, Pounds, Animal Control Officers and Law Enforcement | Tags: animal rights, damages, dog shootings, legal status, owner responsibility | Permalink. Forgiveness, Redemption And Animal Cruelty: How Does It All Fit Together? This afternoon, the civilian Army police officer, Keith Shepherd, went to trial for animal cruelty and discharging a weapon in public for shooting the Husky Bear-Bear at a Maryland dog park. Anne Arundel County District Court Judge Pryal rejected Shepherd’s claim that he acted only to defend himself, his wife and his dog, finding that Bear-Bear never hurt anyone and didn’t even so much as bear his teeth during the incident. Even though Judge Pryal found sufficient evidence to convict Shepherd of both counts, he gave Shepherd the benefit of “probation without judgment.” Shepherd will have to complete 80 hours of community service and maintain good behavior for one year. He also received a $500 fine on the animal cruelty count and a $1000 fine on the firearm count. If he completes these conditions, his charges will be dismissed after one year. As satisfying as it is that the authorities prosecuted Shepherd and prevailed at trial, I’m not sure many people will be satisfied with the sentence. Quite frankly, the level of disparity in animal cruelty sentences is astounding. For instance, a Virginia man who shot and killed his neighbor’s dog for barking recently received five years in prison for a combination of animal cruelty and skipping town for seven years between plea and sentencing. 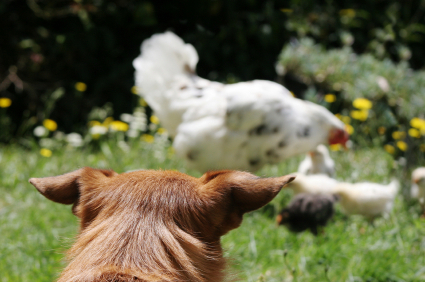 As another example, an Illinois man recently received 20 months for shooting a neighbor dog who trespassed on his property. Compare these sentences with Michael Vick’s 23 month sentence for dogfighting, involving not only the deaths of dogs but profiting financially from their deaths. Later this evening, I had a wonderful opportunity, along with Dr. Ryan Fehr of the University of Maryland, to be a guest speaker with Baltimore radio station WEAA 88.9 FM’s Listen uP public affairs radio show. The topic tonight was “The Politics of Forgiveness: What Does it Take to Gain Redemption in our Society,” with the majority of the conversation exploring whether we should forgive Michael Vick and consider him to now be redeemed. Many of the listeners felt that Vick already paid his debt to society, that it was time to forgive him and give him a second chance. As a former public defender, I am all for forgiveness and redemption. But my take on this is that Vick is a highly paid and very public figure who committed heinous acts against defenseless animals, and profited financially from it. Millions of dogs are sitting in shelters, and the percentage of those dogs that are pit bulls is rising every day. There is plenty for Vick to do before he earns his redemption. Dr. Fehr added great insight about the science of forgiveness and redemption, and how much whether we can identify with the person who wronged us factors in to whether we can forgive. But animal cruelty crimes are not directed towards any one of us. Instead, they are directed against helpless animals. We domesticated dogs and cats over thousands of years, making them dependent on us. Because companion animals depend on us, we have the responsibility to stand up for them. This fact, plus Vick’s highly visible and public status, means that Vick has a long way to go before he earns forgiveness and redemption. UPDATE (12/16/10): With the Philadelphia Eagles getting closer to the Superbowl, Michael Vick is back in the news. In an interview earlier this week, he was candid in saying that he would likely still be dogfighting had he not gotten caught. About the role he would play, he was much less candid, saying he would still be involved, but only “from a distance.” Other reports center around Vick’s public talks about dogfighting. Steve Dale did a great job in his post yesterday of exploring whether these talks are truly voluntary, or are just carefully orchestrated media events. Most of the hubub revolves around Vick claiming that he would really like to get a dog, because his kids keep asking for one. The judge who sentenced him ordered that he could not keep companion animals. I think that was a wise move. He’s still got a long road to prove himself in my book. Allowing him to go back to football and his livelihood is one thing. But trusting him with a companion animal is another thing altogether. UPDATE (12/20/10): Seems the debate of whether Vick should be able to get a pet is still raging. Compare Steve Dale’s recent comments with HSUS President Wayne Pacelle’s recent post on the topic. Categories: Pet Owners, Pounds, Animal Control Officers and Law Enforcement, Rescues and Shelters | Tags: animal rights, dog shootings, owner responsibility, publications and appearances | Permalink. So what is up with the rash of dog shootings by law enforcement lately? First there was Bear-Bear, shot by an off-duty officer in a Maryland dog park. Then there was Parrot, shot by DC officers in Adams Morgan. Now there’s Mercedes, a Rottie lab mix, shot by PG County officers. And who could forget the Berwyn Heights mayor’s labs killed by officers during a supposed “drug raid”? Apparently, the DC metro area is not the only place where law enforcement has been killing pets. An officer in Elk Grove, California recently shot a pit bull terrier, another officer shot a pit bull running at large in Madison County, Illinois, and a Shar-Pei at large in Milton, Wisconsin had to be euthanized after an officer pursued and hit the dog with his truck. Apparently, dog shootings have also been happening at the hands of people who are not law enforcement. Mack Donald Hudson decided that he’d run back home to grab his gun so he could chase around and shoot Grace, a neighboring Australian Shepherd he claimed was trespassing on his property. Fortunately, Grace did not die, but she underwent considerable medical treatment. The Henrico County judge gave Hudson twelve months in jail with eleven months suspended, and ordered him to pay a fine and thousands of dollars for Grace’s vet bills. Michael McLeod shot and killed his neighbor’s black lab, Rex, supposedly because he was sick of Rex’s barking. The Norfolk judge hammered McLeod with five years in prison, in part because he was on the lam for seven years after his initial guilty plea. Virginia isn’t the only place this is happening. In Illinois, Elvin Dooley got twenty months in prison for shooting and killing a dog who wandered into his backyard. Whatever the reason for these shootings, the solution has got to involve a greater understanding of dog behavior, prevention and problem solving – not only on the part of law enforcement, but also on the part of owners. Each of us is responsible for our pets. Owners should not leave their dogs unattended outside, and must be respectful of their neighbors if their dogs start barking. Before an owner or handler takes a dog to a crowded public event, that person must be fully aware of the dog’s temperament and whether the dog really can handle the situation. Whether to take your dog to a public event has been discussed in detail in the Washington Post article, At Crowded Public Events, A Doggy Divide and Dog’s Welcome or Dogs Unwanted on Steve Dale’s Pet World. [These points bring up interesting issues of liability, especially in light of fosters and rescues, to explore in later posts.] Respecting and enforcing rules such as noise ordinances and dog park laws might have avoided some of these situations. 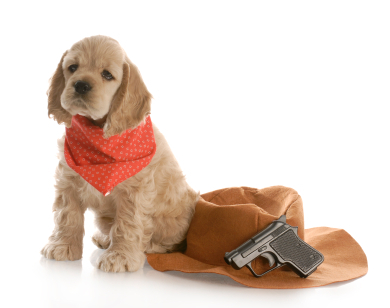 That said, even if a dog is being unruly, there are better ways to handle the situation than whipping out a gun and shooting. Hudson and McLeod should have tried talking with their neighbors, and calling animal control if that failed. The officers could have used much less extreme methods with Parrot and Bear-Bear to get the situation under control. There are laws against discharging weapons in public for a reason. If this keeps up, it won’t be long before we are reading a story about a civilian or an officer who shot at a dog and hit an innocent canine or human bystander. For a deeper look into possible reasons for an escalation in the number of dog shootings by police, along with a link to a petition urging disciplinary action against the officers who shot Parrot, see Pat Miller’s recent post, Cops Shooting Dogs, on her Peaceable Paws blog. 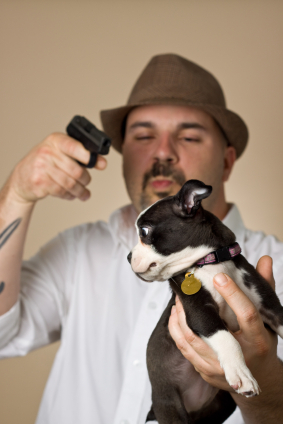 Also don’t miss Casey Matthews-Lomonaco’s post on dogster, Why are Police Killing Pets? Categories: Animal Behaviorists and Trainers, Animal Hospitals and Veterinarians, Media, Pet Owners, Pounds, Animal Control Officers and Law Enforcement, Rescues and Shelters | Tags: dangerous dogs, dog shootings, owner responsibility | Permalink.